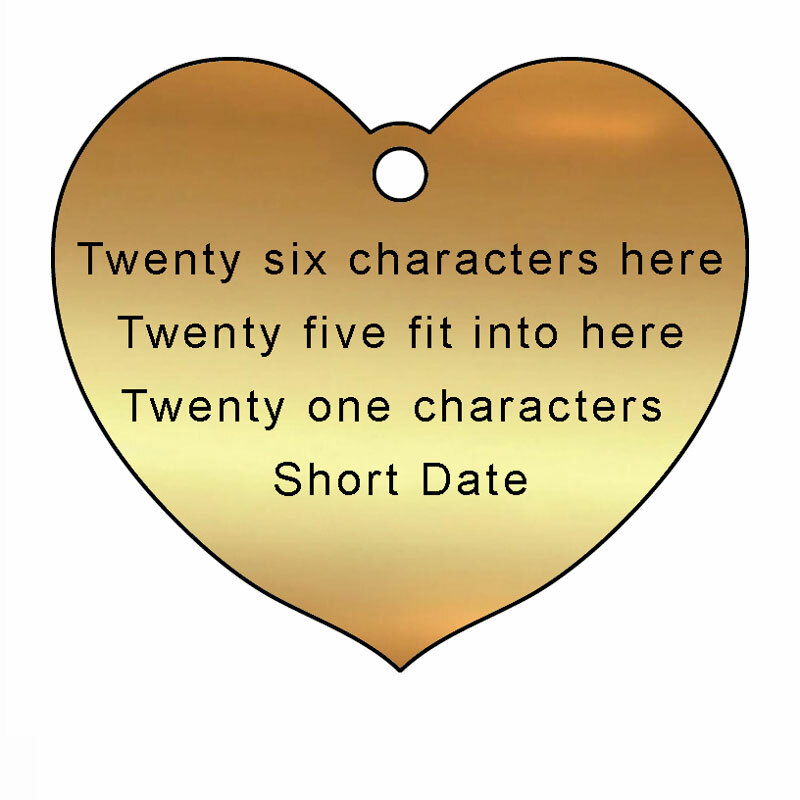 Leaf plaques are fully interchangeable and suitable for use with any of our copper Fundraising Trees. They're also great for simply mounting straight onto a wall, display board or even a real tree too. Choose the design you like the best and place your order. You could even have a mix of leaves on the same tree. Available in Gold, silver and bronze colours (brass, stainless steel and copper). Different colours can be used to represent different levels of donation or achievement. 50 ENGRAVED PLAQUES - we look after your stock and engrave as and when required. • No limits- one at a time, or in multiples until they run out. • Choose which design and colour to have as you go along. Blank plaques are availble to engrave yourself if preferred. • 3mm engraving font similar to Arial, which is clear & easy to read. Please use the images as a guide only. 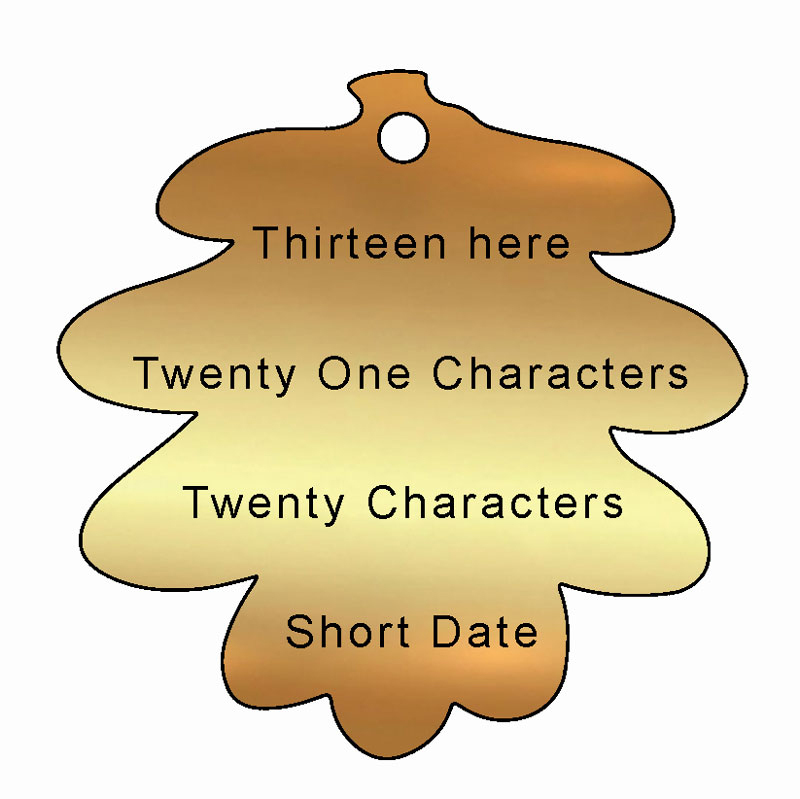 The actual amount can vary depending on the use of characters and capital letters. 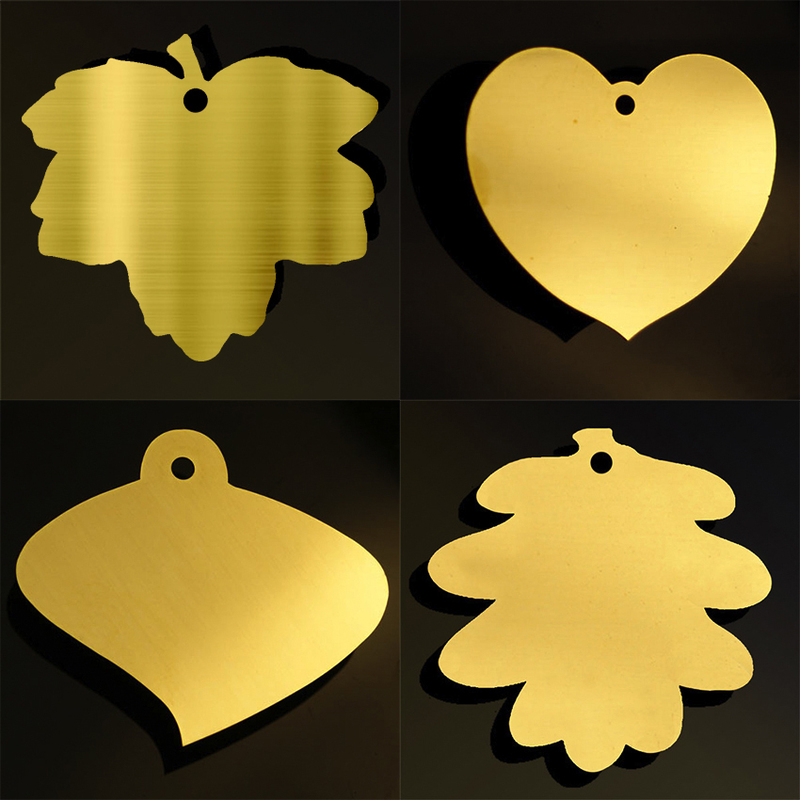 Brass bird plaques are also available to compliment the leaf plaques and can be used on any of the fundraising tree designs.